In this article we will be discussing about apache OpenNLP POS Tagger with an example. 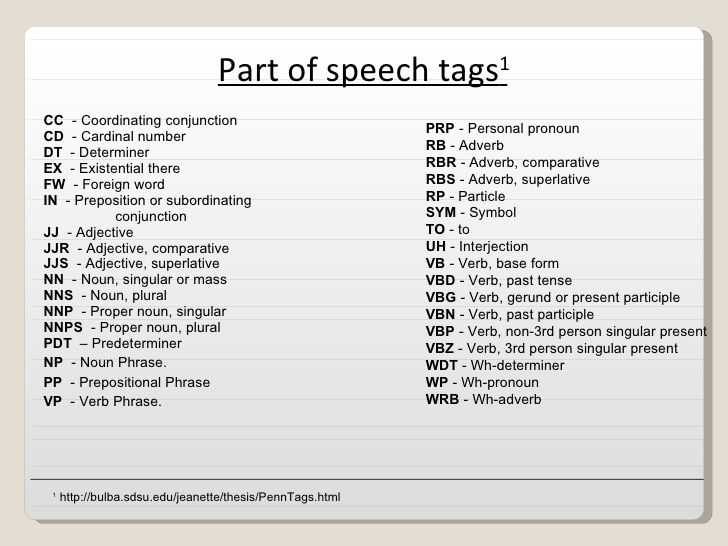 The example will be a maven based project and we will be using en-pos-maxent.bin model file to tag any part of speech. We will be using WhitespaceTokenizer provided by OpenNLP to tokenize the text. Following is the class that takes a chunk of text as an input parameter and tags each word. In this example, first we are using sentence detector to split a paragraph into muliple sentences and then the each sentence is then tagged using OpenNLP POS tagging. Here is the complete article on Sentence Detector. WhitespaceTokenizer tokenizer uses white spaces to tokenize the input text. en-pos-maxent.bin is the maxent model with tag dictionary. * Created by only2dhir on 11-07-2017.